Elderberry (Sambucus nigra) is a multi-purpose fruit used widely throughout Europe. As a centuries-old tradition, it has been used by herbalists as a tonic to maintain health and well-being. 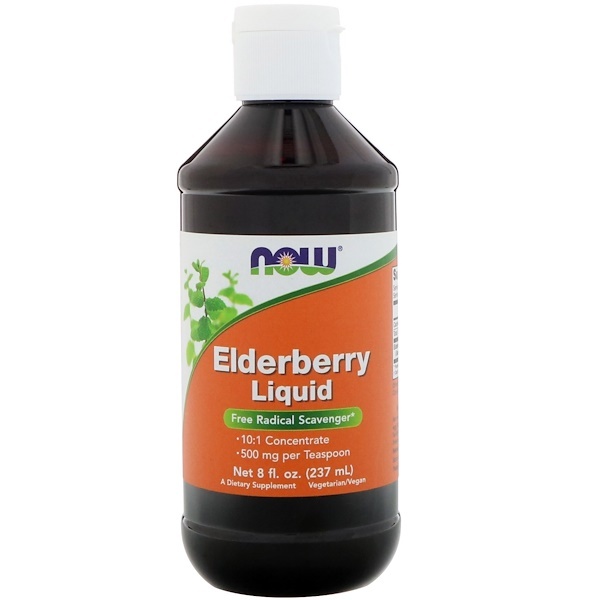 More recently, Elderberry has been recognized for its high nutritive value, especially for its potent free radical scavenging vitamins and anthocyanins. It is truly among nature's sweet and healthy surprises. Shake well before using. 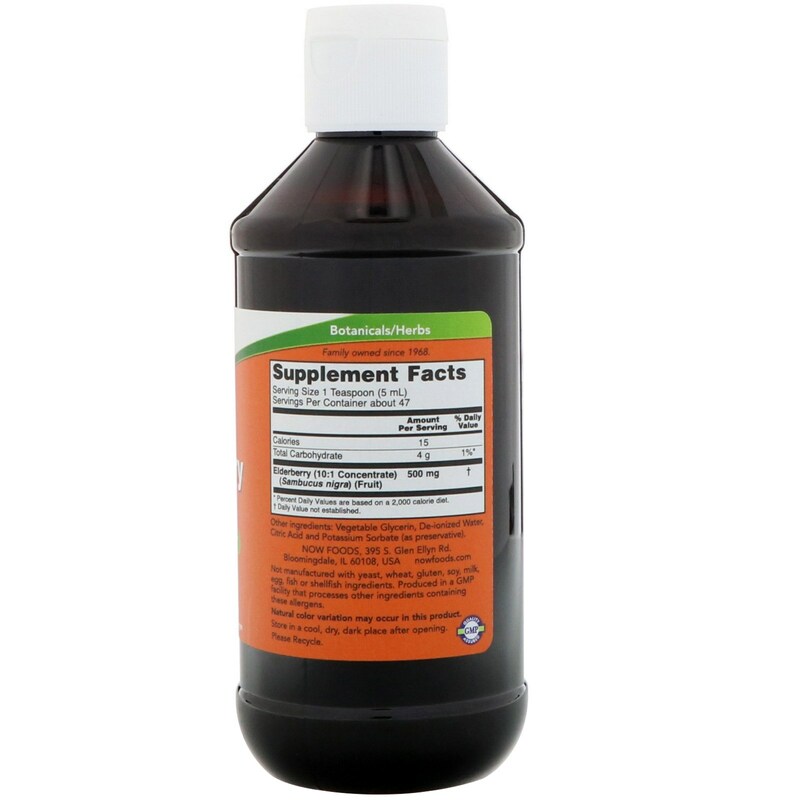 Take 1 teaspoon (5 ml) 1 to 3 times daily. Can be taken directly, or mixed with water or juice. 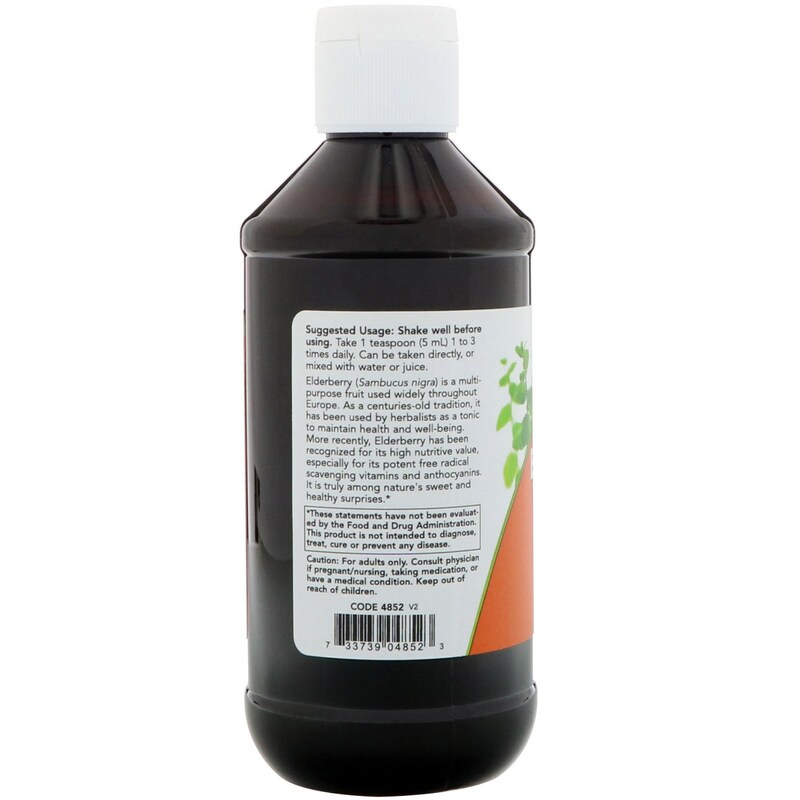 Vegetable glycerin, de-ionized water, citric acid and potassium sorbate (as preservative).